With the UAE dominating both inbound and outbound mergers and acquisition deals by volume, the Middle East region recorded a rally in M&A activities in the last quarter of 2017 reflecting the sustained investor appetite, the latest report by global law firm Baker McKenzie reveals. While the overall global deal volumes rose slightly by three per cent and posted flat growth in terms of value in 2017, the Middle East activity rallied in the fourth quarter, with deal volumes rising by eight per cent and aggregate value up by 21 per cent at $6.6 billion compared to the previous quarter, the report said. Eighty per cent of all Middle East M&A activity was cross-border in nature in the fourth quarter and the UAE once again drove both inbound and outbound M&A in the region. "Despite overall M&A deal activity in the Middle East decreasing in both value and volume in 2017, the rally witnessed in the last quarter of the year was very positive," said Omar Momany, head of corporate/M&A at UAE-based Baker McKenzie Habib Al Mulla. "The increase in cross-border M&A deals by value and volume in the last quarter of 2017 reflects the sustained investor appetite in the Middle East," he added. However, total Middle East deal volumes fell 10 per cent in 2017 compared to the previous year, with deal values also declining by 31 per cent. Cross-regional M&A deal volumes also increased by eight per cent, while deal values increased by 85 per cent from the third quarter of 2017, driven by the $1.06 billion acquisition of Kuwait's National Petroleum Services. The value of cross-regional deals targeting the Middle East increased significantly by 194 per cent to $1.9 billion in the fourth quarter from $630 million in the previous quarter, driven by the National Petroleum Services acquisition. Deal volume also rose by 35 per cent, with a total of 31 deals during the same quarter. The UAE was the top target country for inbound deals by volume in the last quarter, attracting 15 out of 31 deals, valued at $516 million, while Kuwait was the top target country by value, with $1.2 billion from three deals. The US was the top bidder both by volume and value during the same quarter, with six deals valued at $1.2 billion. The energy and power sector was the most active sector in respect of inbound Middle East investment, both by volume and value in the fourth quarter of 2017, registering seven deals amounting to $1.3 billion. "We expect regional deal activity to remain fairly consistent in the coming years, with particular interest in the consumer-facing, infrastructure and technology sectors driven by the demand for innovation and new business models," said Will Seivewright, corporate/M&A partner at Baker McKenzie Habib Al Mulla. Outbound cross-regional Middle East M&A increased by 52 per cent in value in the quarter to $2.3 billion compared to $1.5 billion from the previous quarter. However, this was generated from fewer deals (37 deals), representing a 10 per cent decline in volume from the third quarter of 2017. The top target countries for outbound M&A by volume included the UK, the US, Spain and Italy with three deals each, while India was the top target country by value, with two deals valued at $1 billion, including the acquisition of the Indian unit of National Investment & Infrastructure Fund by the Abu Dhabi Investment Authority. Zahi Younes, corporate/capital markets partner at Baker McKenzie, said unprecedented economic reforms, openness to foreign investment and future infrastructure requirements in the Middle East are going to present enormous opportunities in the medium and long term and continue to sustain levels of regional M&A activity. M&A analysts said in the coming months, domestic and inter-regional M&A activity is expected to get a boost with a new round of mergers and acquisitions in the banking sector in the wake of a move initiated by Kuwait Finance House and Ahli United Bank of Bahrain. At least five M&A deals - three in the Islamic banking space and two in conventional - are in various stages of discussion, according to U Capital. 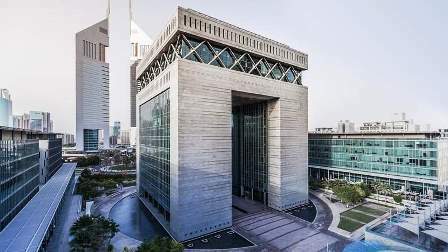 The new round of banking sector M&A follows the landmark merger between National Bank of Abu Dhabi and First Gulf Bank in the UAE, resulting in creation of the region's second-biggest bank.